Help your little hero "train" with this superhero-themed punching bag. Decorated with fun phrases such as THUD! and POW! and complete with a imprinted bulls-eye, kids will give it their all and it will still bounce back in position. 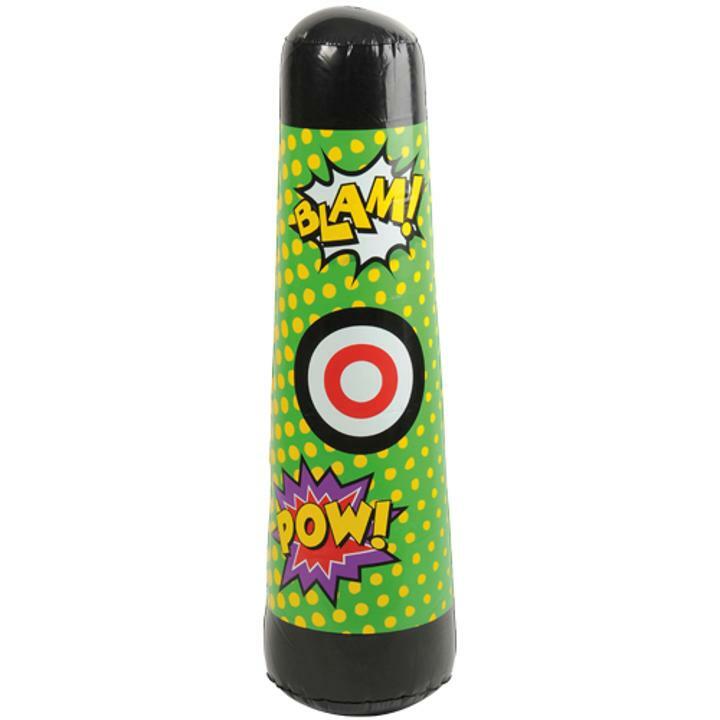 Turn it into a fun party game at your next superhero-themed event or give it away as a prize at the next school carnival: kids will love this inflate! Must be fully inflated to work properly. L: 9.5 in. W: 1.7 in. H: 9.4 in.